Would you spend £150 or more on a toaster? Well, we have and I will tell you why – For us buying a Dualit Classic Toaster seemed to make a lot of sense. It is not that money is of no object but we have learnt that it is always more economical to buy quality and buy it once. The main selling point for us investing in a Dualit Newgen 2 slice toaster was the concept of being able to renew any individual part of the machine without loosing any other bit. If the filament blows or a knob breaks we can just ring Dualit and they send us the part for us to be able to replace. I am planning for this to be the only toaster I ever buy… Fantastic! Everything you buy these days has a certain level of ‘planned obsolescence’ built into it. From cars to computers and fridges to phones, they are built to break. The Dualit seems to buck this rather annoying trend and that is something we are happy to support. A counter argument to this would be that you can buy five £30 toasters for the same price as the Dualit and as such the same sum of money could be used in this way. That is true but what £30 does not buy you is a machine of such a rare utilitarian beauty. There is such a real pleasure in owning it… and we have eaten significantly more toast since buying it. It is worth noting that it is only the premium range of toasters that Dualit make in the UK. The cheaper ‘Lite’ range are made, well, I imagine in the Far East somewhere. They are about half the price and look similar to the more expensive ‘Classic’ version but up close are not even in the same league. In this case you certainly get what you pay for. From an aesthetic perspective the Dualit has an understated but functional retro charm. We opted for the fully chromed version, imagining that it would go with any kitchen we ever have. However, the interchangeable end vents come in 16 different colour options meaning that we could change the colour of our toaster in future years if we choose. Do not be fooled into thinking that for 150 notes you are going to be getting the toaster of the future. There are absolutely no bells and whistles with this machine… I mean quite literally, there is not event a binger on the timer. You are notified that your toast is cooked with a rather un-ceremonial thud of the clockwork timer stopping suddenly. There is no automatic popping up toast either just a simple manual leaver (which actually delivers a rather satisfying action). This is a no-frills, little fuss, gets the job done bit of kit… and that is why we love it! I have this toaster & agree completely! Sadly when it comes to quality, style (let’s face it, Dualit has this!) & longevity however, British manufacturing has a long way still to go. That said some companies are turning the tables on the Far East & returning to UK manufacturing. We bought the 4 slice version years back and have never had any problems. The fact that it is manually operated means there is little to go wrong and it really is a solid job. I think it will see me out, but if not I would definitely buy another. This is a new concept !! Actually being able to fix an electrical appliance without having to replace the whole thing !! Wow I didn’t know there were toasters still made like that – brilliant! Will definitely be buying one myself when my current cheap toaster gives up. We’ve had our Dualit kettle and toaster for ten years and they are still as good as new. We’ve definitely saved money as we would have had to buy several cheaper appliances in that time. 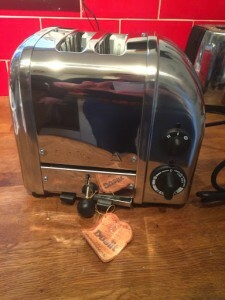 If the toaster breaks (which it hasn’t done yet – touch wood) it will be repaired by the same person who built it! The maker of each toaster is identified on the appliance so they fix their own work. We’ve also bought various other Dualit appliances. The blenders are not so durable but the service team have been brilliant at sending out replacement parts and offering refunds when required. They are the best in the world and well worth the investment. I have had many many happy years of toasting from mine, 15 so far I think with no faults. I bought a toaster from Dualit late last year (2015), having heard on BBC radio and read the hype. I DEEPLY REGRET IT! After 6 months the toaster began burning one edge of the toast. I sent photos and the toaster back to Dualit. They said there was nothing wrong with it, sending me photos, of toast cooked on one edge and not the other!!!!???? They refused to accept that there was a problem. They refused to pay the £12 postage! Now, I toast and it is STILL TOASTING ON ONE EDGE, BURNING THE OTHER! 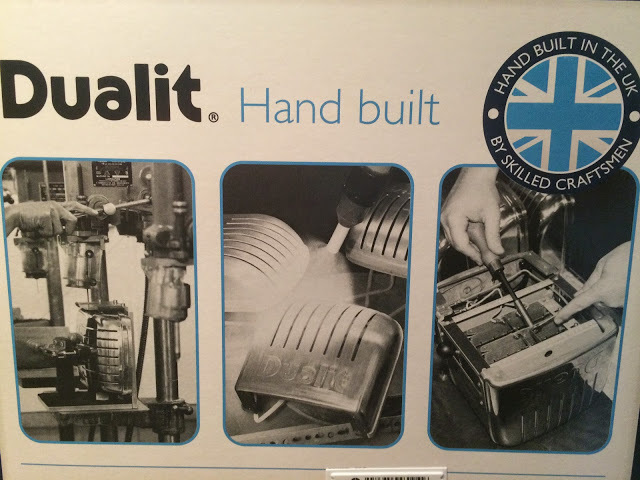 I am furious and having bought other Dualit products I find it difficult to use them with any enjoyment. An example of poor work and poor Customer Services. Anyone want a rubbish Dualit Toaster?